If you are looking at how to energize your life and unleash your career and business, then you do not want to miss this week’s show! Tune in to The Unleashed Radio hour this Thursday from 10am-11am (CST) on Business 1110am KTEK (streaming live at www.business1110KTEK.com) where our guest author and researcher, Tom Rath, will join us to discuss his studies of human behavior in business, health and well-being. Tom has written five New York Times and Wall Street Journal bestsellers over the past decade. 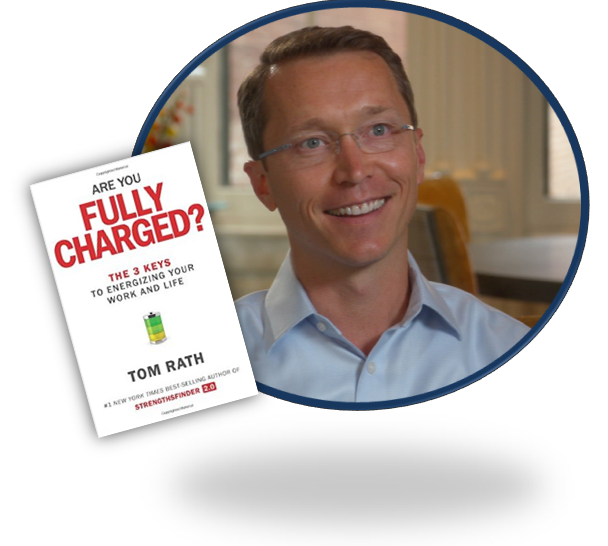 Listen in to learn about his most recent book “Are You Fully Charged? The 3 Keys to Energize Your Work and Life”. This entry was posted in Book Club, Coaching, Engagement, Entrepreneurs, Leadership, Ownership, Success Tips, Talk Radio, Work-Life and tagged bestselling author, Book Club, Engagement, Entrepreneurs, Information, Interview, Leadership, Purpose, Success, Tom Rath. Bookmark the permalink.